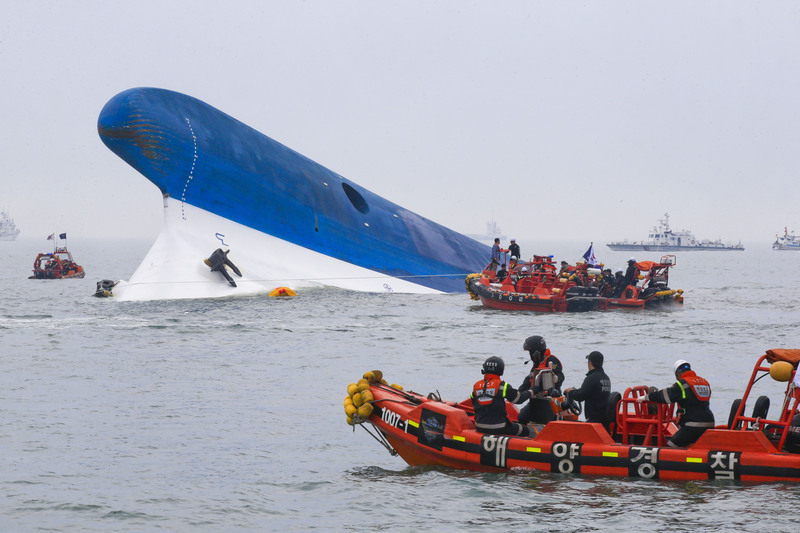 The captain of the South Korean ferry that capsized in April received his fate on Tuesday. Captain Lee Joon-seok was sentenced to 36 years in prison for the negligence of the tragic sinking of MV Sewol, which was carrying 476 passengers on the way to the island of Jeju. More than 300 people, most of whom were teenage schoolchildren, died in the accident. Judge Lim Joung-youb, who handed down Tuesday's ruling, said Lee "abandoned his passengers, knowing that they were waiting for instructions from the crew and that if they were not evacuated, their lives would be at risk." Although Lee came under scrutiny by the South Korean government and public alike for his actions, such as fleeing the ill-fated vessel while most of the passengers were still trapped, the captain was acquitted of homicide. If Lee was found guilty of murder, he would have faced the death penalty. Only one Sewol crew member was found guilty of homicide — Park Gio-ho, the ship's chief engineer. He reportedly failed to help two fellow injured crew members, instead choosing to flee the ship. The chief engineer was sentenced to just 30 years in prison. According to Reuters, two other Sewol crew members who were facing homicide charges were also acquitted. All in all, 14 crew members were on trial for various charges, with many of them receiving between five and 10 years in prison. As Lee is in his late '60s, it's doubtful that he'll leave prison — this 36-year sentence may very well serve as a life sentence. However, many South Koreans, including the families of the victims, believe this sentence didn't go far enough. Most of the families wanted justice for their children, who were the majority of casualties — 250 teenagers died, trapped in their cabins. It's not fair. What about the lives of our children? They [the defendants] deserve worse than death. Outside the South Korean courtroom on Tuesday, Park Jong-dae, the father of one of the children who died in the accident, told reporters: "Our hope was miserably destroyed." The New York Times adds that a joint statement from some of the victims' families said Lee should have received the death penalty to show the country "that one cannot keep his own life if he betrays his duty to protect other lives and sacrifices hundreds of people in order to save his own." Before the sentencing on Tuesday, the South Korean government announced it was ending the search for bodies of missing passengers. Just nine bodies remain missing.